There are many nice ways to cook and eat Walleye. 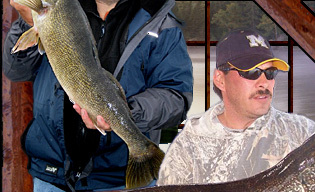 The real secret is to eat small Walleye and eat them while they are fresh. Walleye taste good after being frozen but much better fresh. There are a million different recipes for Beer Batter. 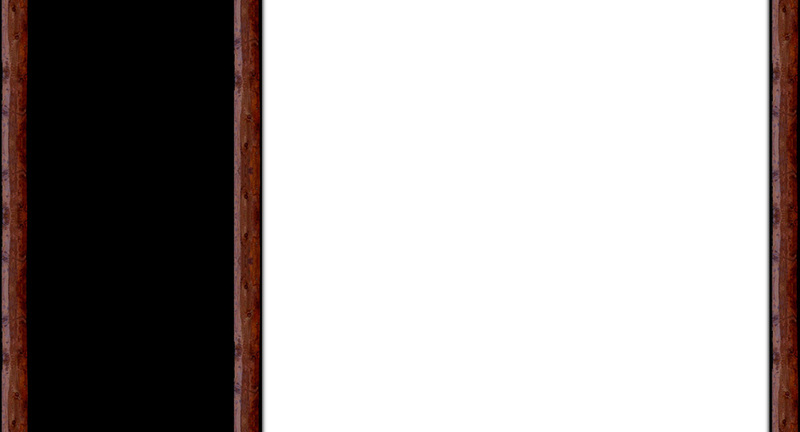 Below are a couple methods that are popular with fisherman and people that are camping. Mix and dip fillets in batter. Then drop into hot deep fat (380 degrees). Cook for 2 minutes or until browned. Beat egg yolks with oil, salt, and pepper. Add flour and beer to mix. Beat well and refrigerate for 3 1/2 hours. When you are ready to use, fold in stiffly beaten egg whites. 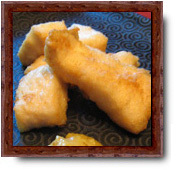 Many people just roll the Walleye fillet in flour and deep-fry in oil or lard until the fillet is golden brown. This is a quick and easy way but it gets boring if you are cooking it this way every day for your shore lunch. Better have tartar sauce and lemon with this method. A very popular way of cooking fish, which was extremely popular in the 50s and 60s, yet is making a major comeback in popularity is to roll the fillet in flour, then dip in beaten eggs, then roll in cracker crumbs and fry in butter until golden brown. If you go to the seafood section of your supermarket, you will find Clubhouse Tempura Batter, which is the batter you get in Japanese restaurants. Just follow the instructions when making the mix, except add a level teaspoon of salt. 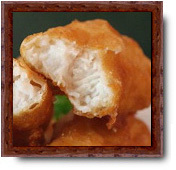 Then dip the Walleye fillet in the batter and deep fry until golden brown. You might want to make the batter a little bit thicker than they say in the instructions. Lemon Pepper Shake-&-Bake is great for deep-frying. 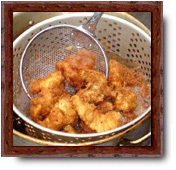 Just clean the Walleye fillets off and make sure they are damp, shake the fish in the mix and deep fry in oil or lard. For a thicker batter coating, dip the fillet in beaten eggs and then roll in Shake-&-Bake. 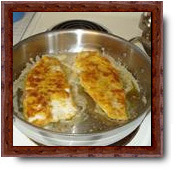 Baked Walleye is one of the healthy ways of eating fish if you go easy on the butter. The only other way, which is more healthy, is poached Walleye. Most fisherpersons would consider that a waste of Walleye. Cooking walleye with vegetables or stuffing is excellent and a very enjoyable change to fried or deep fried Walleye and has a lot more flavor than poached. Get a big piece of heavy-duty tin foil and smear butter over the middle. Place your Walleye fillets on the vegetables and with a knife, smear a generous helping of butter on the fillets. Sprinkle salt, pepper and lemon juice on the fillets and the vegetables. Put more vegetables on top and sprinkle more salt, pepper and lemon juice. Place a few blobs of butter on top. Rap the tin foil up and cook at low to medium heat for about 8 to 10 minutes on each side. If you hear the butter boiling, you have the right temperature. Get a big piece of heavy-duty tin foil and smear butter in the middle of the foil and then shake poultry seasoning, salt and pepper onto the butter. Put one Walleye fillet down on the butter. Cover the fillet with Stove Top Stuffing. Use the regular stuffing for Turkey or Chicken. 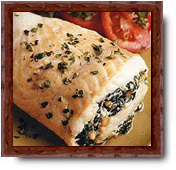 Then put the second Walleye fillet on the stuffing and roll it all up in the tin foil. Wrap up the foil and cook for 8 to 10 minutes on each side on medium heat. Fresh Walleye taste awesome, especially when you catch them in the cool clean lakes of Northwestern Ontario. 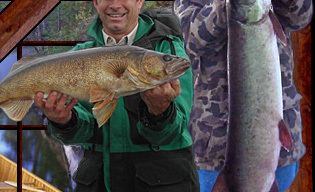 The best way to catch Walleye is at Lac Seul Outpost.